Please click on the link above to get an idea of what all a home inspection intails. Structual Elements: Construction of walls, ceilings, floors, roof and foundations. Exterior Evaluation: Wall covering, landscaping, grading, elevation, drainage, driveways, sidewalks, fascia, trim, doors, windows, lights, and exterior receptacles. Roof and attic. Framing, ventilation, type of roof construction, flashing and gutters. Plumbing: Toilets, Showers, Sinks, Faucets, Traps, Condition and identification of pipe materials. Systems and Components: Water Heaters, Furnaces, Air Conditioning, Duct work, Chimney, Fireplace, Sprinklers. Electrical: Main panel, Circuit breakers, Types of Wiring, Grounding, Exhaust Fans, Receptacles, Ceiling Fans, Light Fixtures. Appliances: Dishwasher, Range and Oven, Built-in microwaves, Garbage disposal, Smoke detectors. Garage: Slab, walls, Ceiling, Vents, Entry, Firewall, Garage door(s), Openers, Lights, Receptacles, Exterior, Windows, Roof. Both ants and termites have two pairs of wings, but ants' wings are different sizes while the termites' wings are all the same size. Also, ants have narrowed waists and elbowed antennae while termites have thick waists and short, straight antennae that resemble strings of beads. Don't be fooled by color or size. Ants can vary in size, and winged termites can be brown or black like ants. 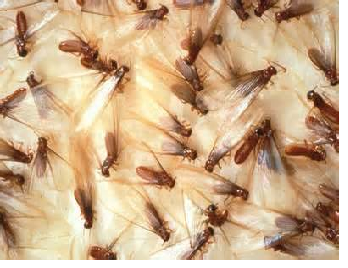 There are about 2000 known species of termites throughout the world. In the U.S., Subterranean Termites, including Eastern, Western, Desert and Formosans, which build underground nests, are a concern in every state except Alaska. 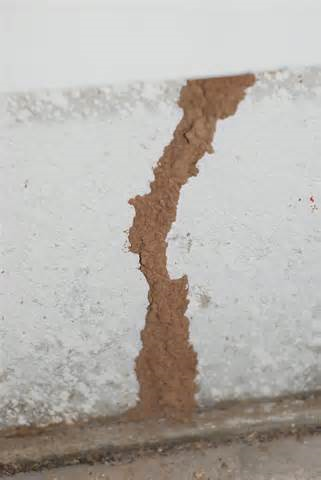 Subterranean termites are extremely destructive, because they tunnel their way to wooden structures (like your home), into which they burrow to obtain food. 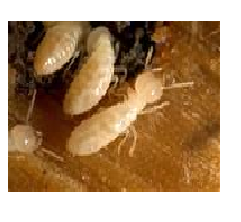 Termites all share a virtually insatiable appetite for wood and other cellulose-containing materials. Given enough time, they will feed on the wood until nothing is left but a shell. Copyright 2012 SanAntonioHomeInspectors.com. All rights reserved.